The Edo State Governor, Mr Godwin Obaseki has tasked stakeholders in the nation’s health sector on robust collaboration to ensure efficient service deliver across the health care’s value chain. The governor maintained that the challenges in the sector were surmountable if concerted effort was made by all players in the sector to work as a team. “The idea of leaving the responsibilities of the health care system to only doctors, will not take us to where we need to be. The health system affects the entire spectrum of the society and everybody should be involved in tackling the challenges, from the primary health care system, which is the bedrock of our health sector,” the governor said. Obaseki assured that the lesson learnt from the pilot phase will guide the roll out of the other primary health centres later in the year. 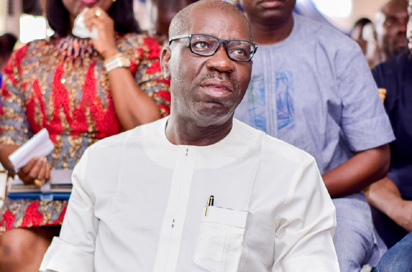 Earlier, chairman of the Nigerian Medical Association, Edo State Chapter, Dr. Emmanuel Osaigbovo, commended the governor for his developmental strides in the state, and appealed for the timely completion of the ongoing projects. He called on all doctors in the state to rededicated themselves to duty and focus on efficient service delivery.